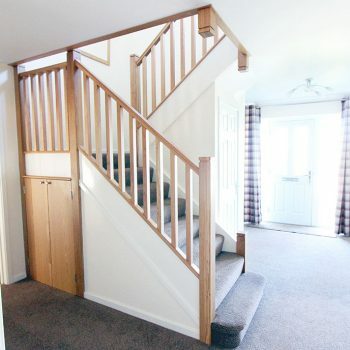 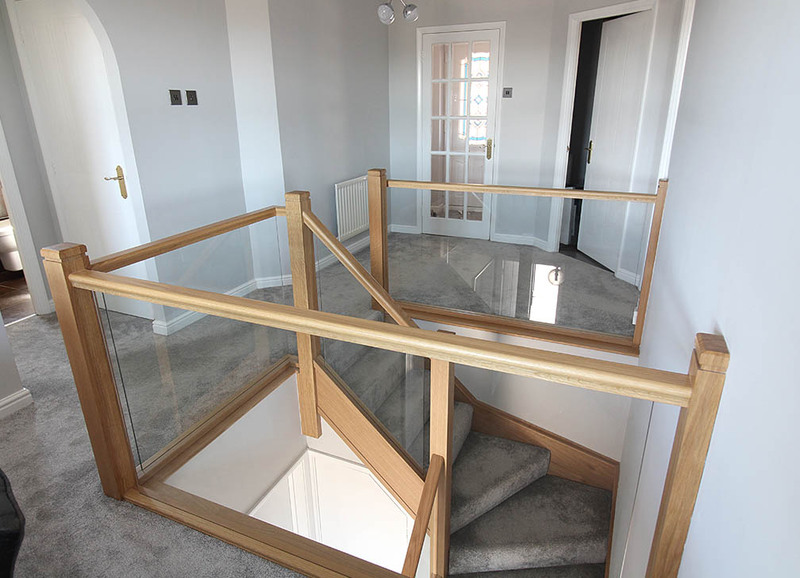 The Moran family had just bought a charming new build property in Cambridgeshire and were upset with the very standard staircase that the contractors had originally installed. 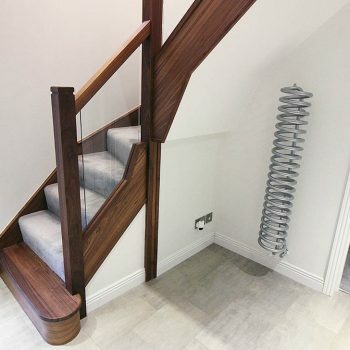 The art of staircase renovation, allows a complete revamp of the original staircase without causing damage to the new home or creating any fuss! 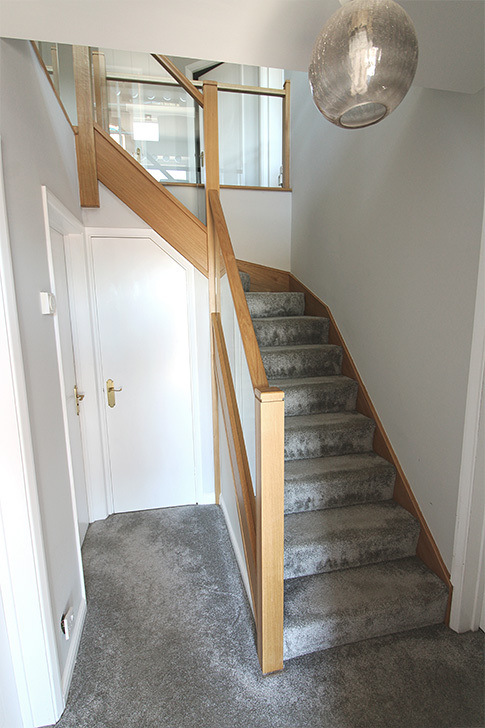 The final finish appears as a completely new staircase at half the budget and none of the structural work required. 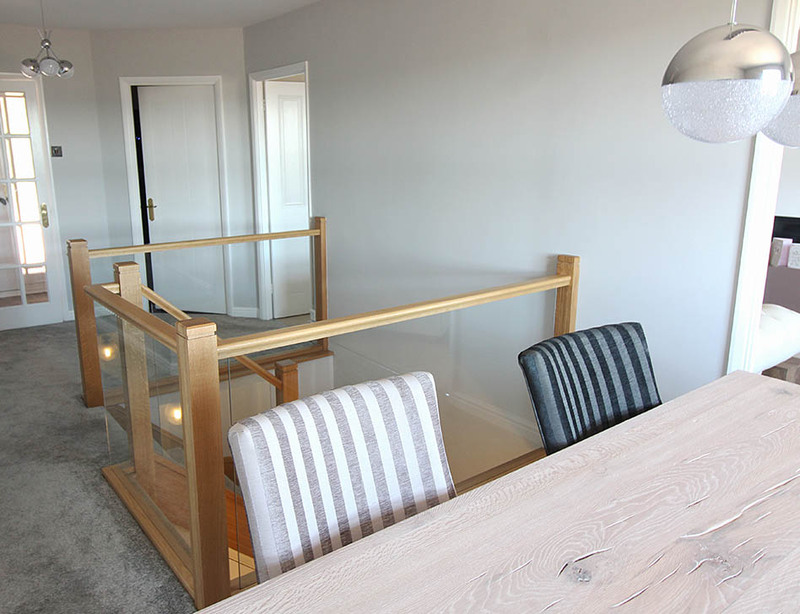 Our design team approached the Moran family and offered the idea of removing a stud wall to create an open plan entrance hallway/dining area. 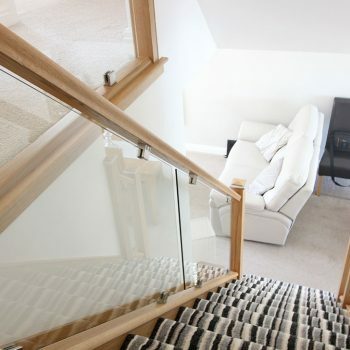 The home was built upon a hill meaning the interior was upside down with the bedrooms downstairs and the living space upstairs, this wall removal allowed light to travel from the upstairs down the small landing area at the foot of the staircase, this merged with glass balustrades completely reinvented the space. 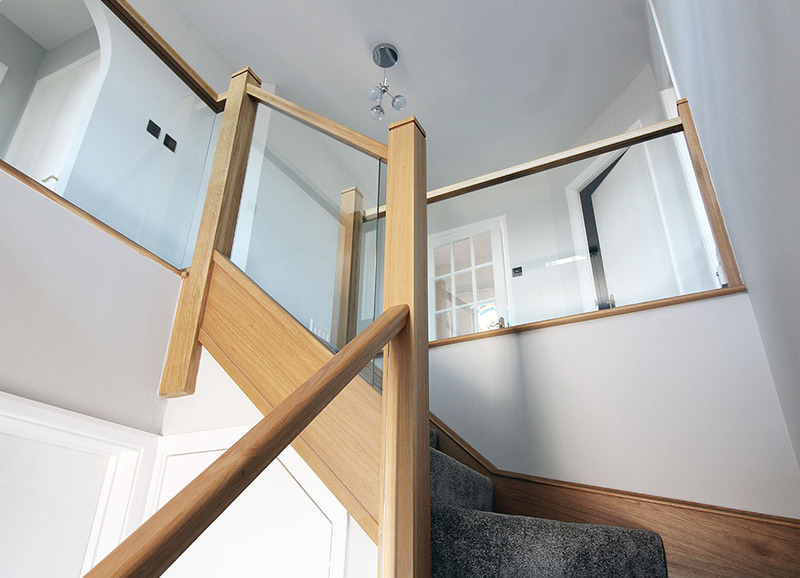 We chose to renovate the entire staircase with European White Oak to finish like a brand new solid oak staircase. 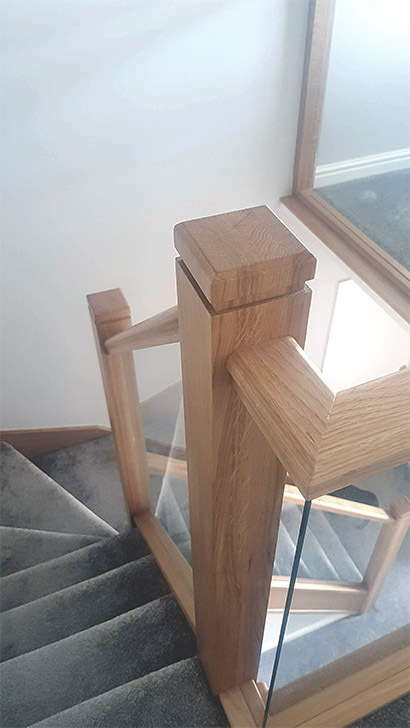 All newel posts are removed completely and replaced with solid oak posts (variety of styles available), finished with a bespoke machined flat cap that is not available on the high street, unlike standard caps. 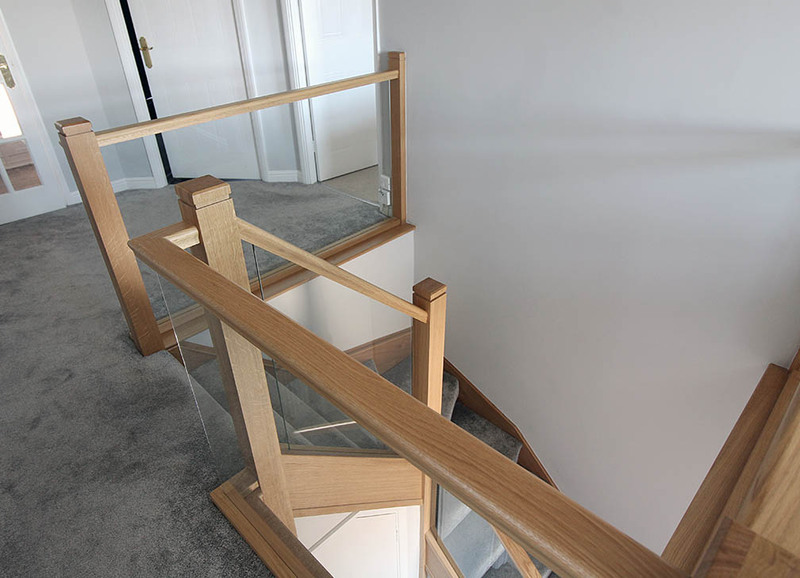 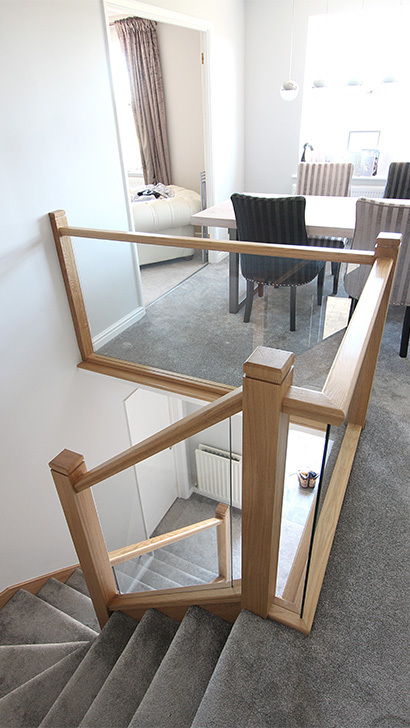 A huge range of handrails are available to choose from to compliment your toughened glass balustrade, our sample kit will allow you to make the right decision.